For those nearing the tender age of 65, it might be time to consider enrolling in Medicare. A health insurance program operated by the federal government specifically for seniors 65 and older, Medicare can take care of you and safeguard your health into the future. You’ve worked hard to take care of your family and pay your dues to the government—now it’s time for the government to help take care of you. Like all forms of insurance, however, it is important to do your homework. It’s an important decision to make that can affect you for years to come, so you need to spend the time to research your options and speak to experts. This guide can help you understand the basics to Medicare and learn the different parts that fall within its programs. As I explained above, Medicare is a federally-owned health insurance program eligible to people 65 and older as a way to help older adults pay for their medical expenses. Over the years, this program has been expanded to assist younger people with disabilities, certain diseases, and pay for prescription drugs. Health insurance is of course not a foreign concept to anyone in America’s working world. You’ll pay monthly rates to access coverage for medicine, doctor’s visits, hospitalizations, and more. Most people enroll in health insurance through their employer or spouse. This can change upon becoming 65. You’ll be eligible for Medicare upon turning 65 and can receive all the benefits that come with. Even better, you can use Medicare to complement existing coverage you might have. You might be paying more each month, but the broader range of coverage and benefits received should not be taken lightly. Starting Medicare is simple and guaranteed for nearly everyone. Before enrolling, you should understand that it is actually broken into smaller parts. 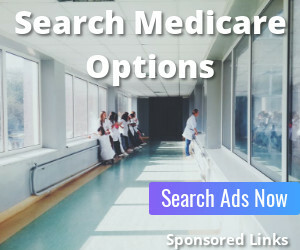 Also called Original Medicare, this program comprises parts A and B and covers a swathe of services that cover the gamut of normal health insurance needs. You should enroll in part A as soon as you’re eligible, but part B can be a bit trickier. I’ll explain why in a bit. Hospital Care: semi-private rooms, meals, nursing services, and prescription drugs needed during your stay. Nursing facility care: medical services, supplies, and equipment needed to treat you in a skilled nursing facility. Hospice care: Includes doctor and nurse services, medical equipment, supplies and more. Hospice care is for those determined by their doctor to be terminally ill and likely to die. Home Health Services: at-home skilled nursing care, physical therapy, and more. Medicare Part A can be free if you or your spouse has a minimum of 10 years of Social Security work history. However, Part A coverage may still include other costs such as deductibles and co-payments. 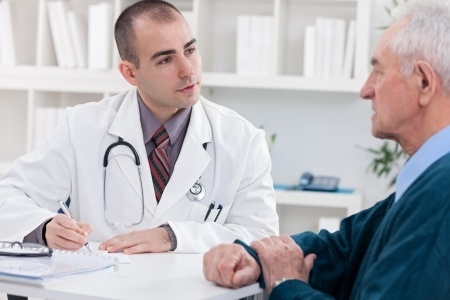 Medicare Part B is your medical insurance policy and covers normal doctor visits and lab work. It also covers emergency ambulance service, preventative tests such as a Flu shot, and X-rays. You’ll pay a monthly premium for Medicare Part B.